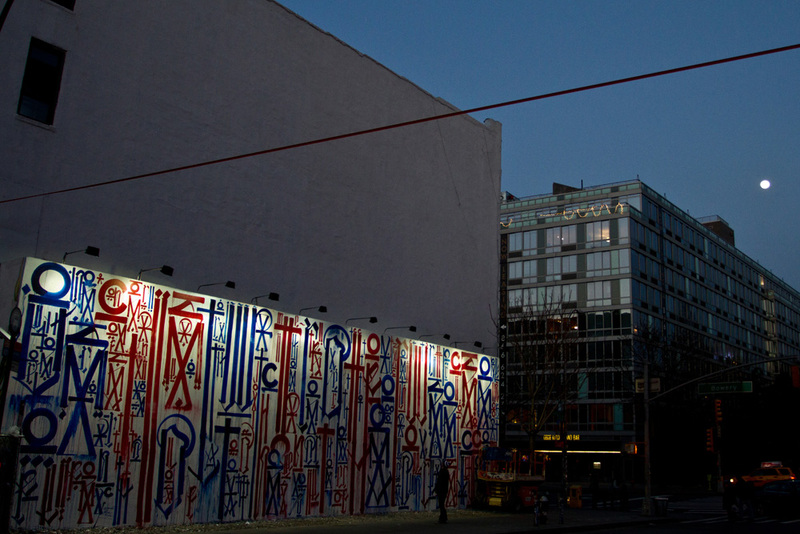 The famous Bowery mural space was ritualistically whitewashed over the weekend, in preparation for the latest installment in a long series of famed street artists. The past few days, Retna has been affixing his signature brand of scrit. 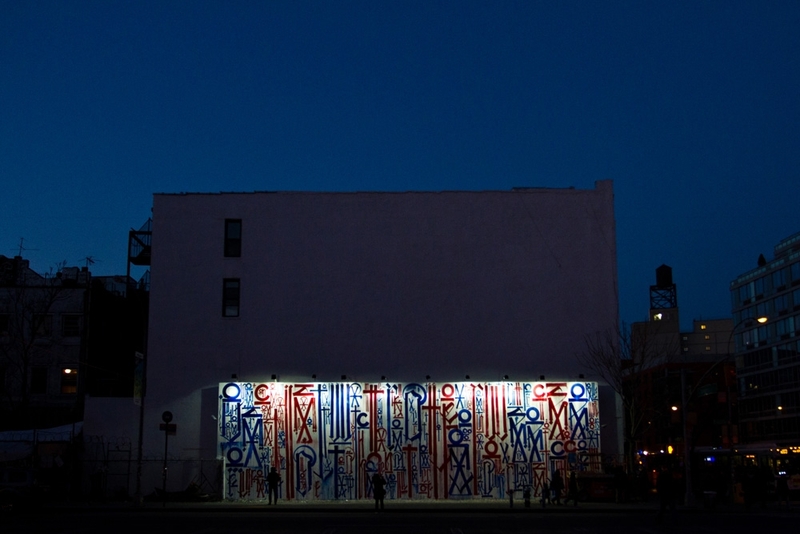 This is how it looked on Tueday night, March 6th. 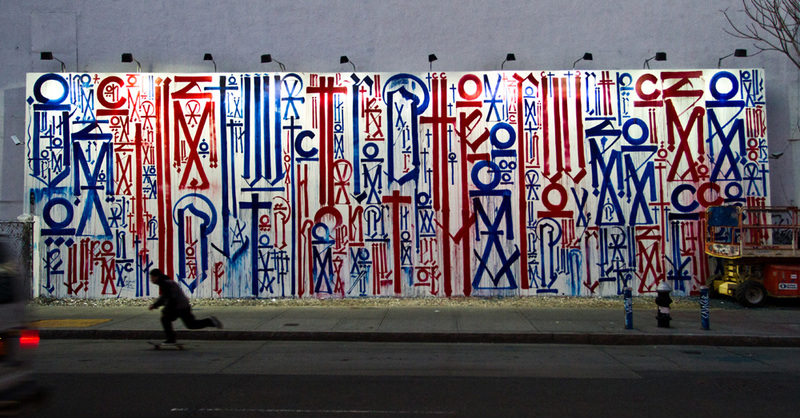 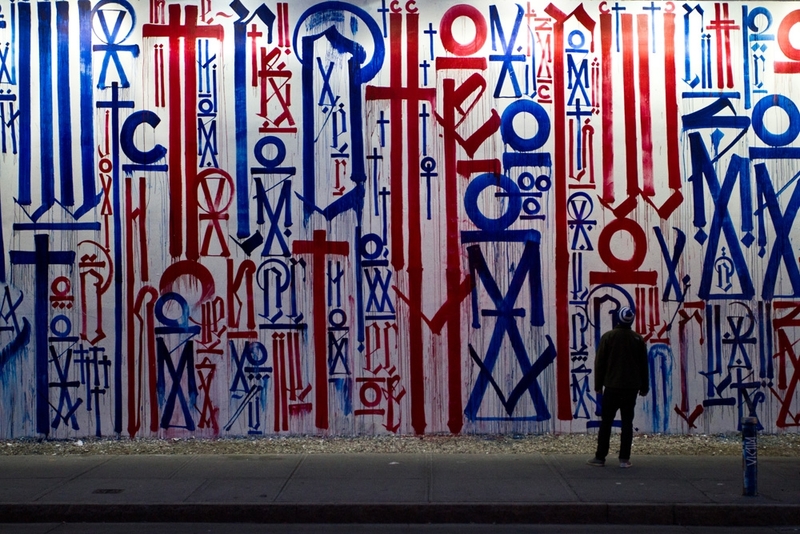 Posted in Art, News and tagged Art, Bowery Mural, NYC, Retna, Street Art.